Thanks for your comment Le Ping. I love to photograph in the Wasatch. The Rocky Mountain Maples turn wonderful shades of red and orange. Due to time constraints I will not be able to get out there this year, so I am going to go to the Eastern Sierra which is closer. 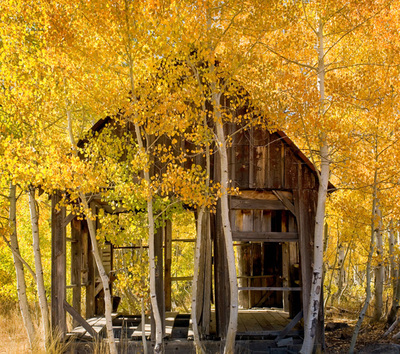 We also have some great autumn color here in the Tahoe area, so I have a few spots scouted out I will be working on when the weather and color are best. We are expecting a snow storm here tomorrow with high winds so I hope that does not damage the Sierra foliage too much. Elizabeth -- I have not had the pleasure of seeking out fall color spots in the Tahoe area. I hope you don't mind my asking but could you suggest a few spots that one might try?? I know of Sorenson's and the Hope Valley area but was not sure if there were any areas on the I-80 side of the Lake. Thanks for your insight and I look forward to more of your posts. There are some nice aspens in Blackwood Creek area on the west shore of Lake Tahoe, and one of my favorite spots is Marlette Lake on Spooner Summit. This is about a 6 mile hike or bike ride to get up to the lake but it is well worth it. I have also had reports of good aspens on the way out to Jackson Meadows Reservoir north of Truckee on HWY 89. Autumn color is peaking, this next week will be the best time to get shots. There is possibly a major storm brewing for the following weekend that will be the beginning of winter for the Sierra.